Candlewick Press (MA), 9780763629090, 132pp. How do you write poetry? It's a question with as many answers as there are poets. Now, in this unprecedented volume, thirty-two internationally renowned poets provide words of wisdom and inspiring examples of their own work for new poets everywhere. Compiled by anthologist extraordinaire Paul B. Janeczko, a talented poet in his own right, this outstanding resource offers a fascinating spectrum of advice from those who know best - ranging from "break a few rules" to "read Shakespeare's sonnets in the bathroom" to "revise each poem at least thirty-two times." Not surprisingly, the most frequently made suggestion from these seasoned poets is simply to "read, read, read!" This rich volume - an ideal resource for classroom teachers and a beautiful gift for budding writers of all ages - offers the perfect opportunity to do just that. 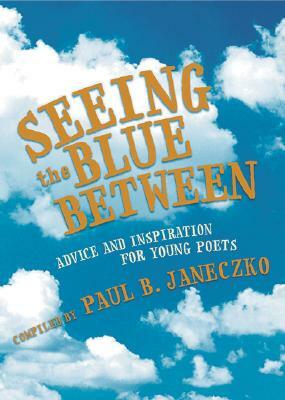 Paul B. Janeczko, a poet and teacher, has edited numerous award-winning anthologies for young people, including Candlewick's A POKE IN THE I: A COLLECTION OF CONCRETE POEMS and VERY BEST (ALMOST) FRIENDS: POEMS OF FRIENDSHIP. Of SEEING THE BLUE BETWEEN, he says, "I tried to create a book that I wish I'd had when I was a kid. Maybe its words would have given me the comfort and encouragement I needed." Paul B. Janeczko lives in Maine. "From the Hardcover edition."